Where did I get it? It was 99p on Kindle so I bought it at the beginning of the month. I started reading it when I was on holiday but got distracted by something else, but I've just finished it. What's it about? 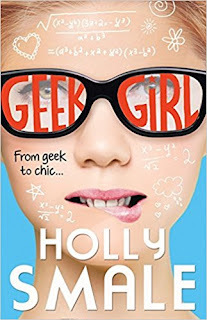 Harriet is fifteen, and is pretty much an outcast at school because she is a geek. She has her best friend, Nat, and a boy called Toby who is way too much into her. But she's bullied by Alexa at school. At home are her dad and stepmother, who are quite supportive of her although they drive her mad. Anyway right at the beginning of the book she has to go with Nat to the Clothes Show in Birmingham. Harriet manages to cause a load of damage and runs away, where she is then spotted by a model agency who really like her look and want to sign her. Nat has always wanted to be a model, so Harriet feels awful that she's got the chance when Nat hasn't. So she keeps it from her best friend. Meanwhile her stepmum Annabel doesn't want Harriet to be a model, so Harriet and her dad keep it from her too. This is a really funny book. Harriet is clumsy and kooky and both those things come through and I laughed out loud at points. But I didn't love it. 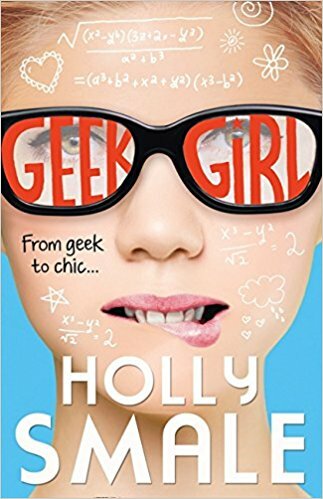 I didn't like Toby's character - the also geeky boy who follows Harriet pretty much everywhere when it's obvious she's said no to him. I would have liked him to be omitted entirely. I also just felt the book generally didn't have enough substance and grit for me. There are a few parts that I found quite body shaming, which I don't like. But, I can see why loads of teens would like it, and like I say, it is funny. What criticisms do I have? Just as above. That's not to say that I'm sad to have read it, cos I'm not! Why did I choose to read it at this point in life? On holiday I just happened to have it downloaded on to my Kindle and since I didn't have internet connection that was really helpful!